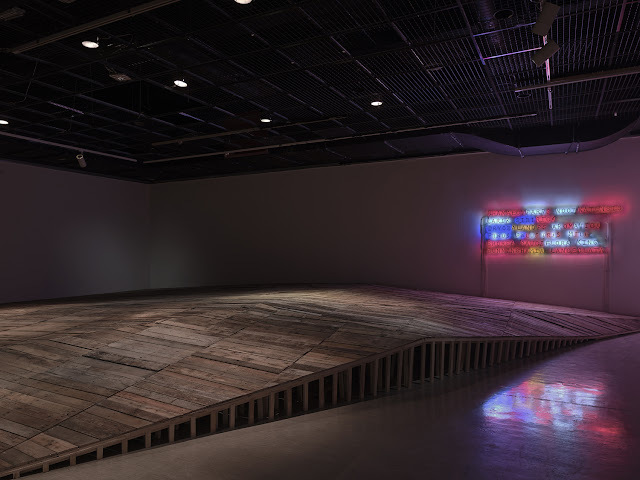 CHIU Chen Hung’s exhibition MERANTI is comprised of the wooden pallets normally used in logistics or other industries that the artist has transformed through a process of deconstruction and reconstruction. In the process of converting the raw materials into artworks, the media vacillates in character and identity. As a functional object in the world trade system, the wooden pallet originates as a basic organic material. Through industrialised forestry it is harvested, processed and manufactured to the size specifications from different regions. In order to keep costs down many manufacturers in Taiwan purchase used wooden pallets that have arrived in shipments from ports around the world connecting the demands of freight industries in Taiwan with others worldwide. The wood come from the forests in Indonesia, Malaysia, Thailand, America, Canada or China, before being turned into pallets and beginning their sea-faring journey. The exhibition title comes from the idea of the imported timber, a main Philippine Lauan called Meranti, where is originally from Southeast Asia. 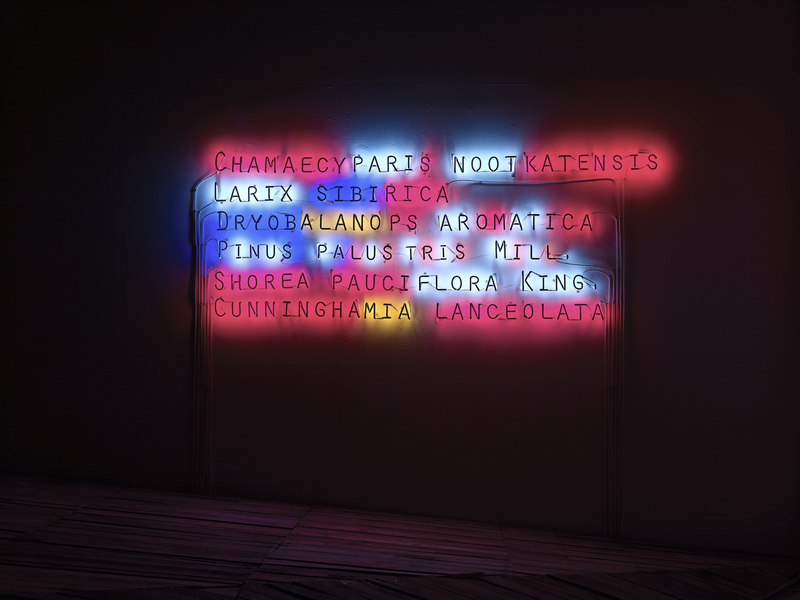 The title acts as an entry point to lead the audience into a series of different conceptual lexicons: nature, industry, trade, globalism and botany. CHIU deconstructs the collecting material to make a wooden floor in the exhibition space that is categorized by species. When the audience walks onto floor they are made aware of the sensory experiences of each variety of wood through touch, sight and smell. Moreover, they perceive a relationship between the loading the freight on the pallets with their own bodies. A neon light installation shows the different species’ scientific names. 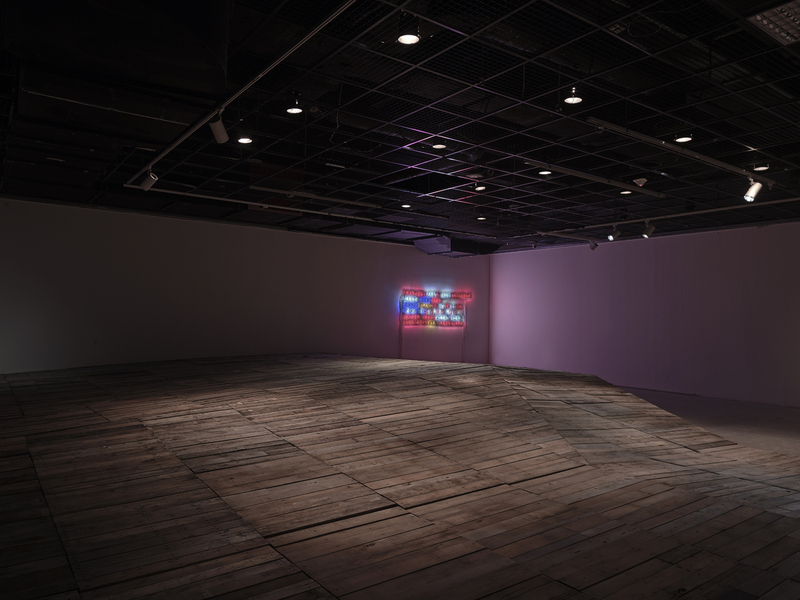 Literally casting light on the installation, the neon’s signal the origins of the materials and guides the audience into a labyrinth of knowledge. In the installation the pallets are transformed from their original function into an imaginative depiction of floating material. CHIU presents the sources of the pallets by pedigree in order to build up a private dialogue with the material. Through experiences of family-run factories, the mining industry in Hualien and other related businesses, CHIU explores the potential of industrial products to deconstruct the cultural relationships between humans and raw materials thereby reconstructing the connection of practicing material with artistic sphere. Taiwan Biennial: The Possibility of an Island, in National Taiwan Museum of Fine Arts,Taichung/Taiwan.